The clients below are ordinary people, just like you, who wanted to change their lives by learning how to eat for their bodies and their lifestyles. No photo shopping or stock images, these people are the real deal! I cant thank you enough Lynda for your support over the past 12 months! Arriving back from the UK in early 2017, I was the heaviest I had ever been at 94kg. I didn't feel like myself, had very little energy and very low self-esteem. I managed to lose a couple of kilos on my own and arrived on Lynda's doorstep weighing in at 90kg. Reaching a point of maintenance still seems unbelievable to me, I have lost 27kg since arriving back in NZ and am a completely new person. I am confident, energetic and so happy. I did have my doubts and had ups and downs along the way, but having Lynda to keep me accountable was definitely the factor that drove me to keep going. Alone I honestly wouldn't have pushed myself past a 10kg loss. I have fallen in love with preparing, cooking and eating nutritious, fresh and unprocessed foods and don't see myself ever returning to previous habits. My focus is now based on eating to feel energised, and any extra fat loss that comes with it is just a bonus. I wouldn't change this journey for the world, thank you Lynda! I'm Leon Elliott and I am a 51 year old male. A year ago I was obese and very unhealthy. I had anxiety and depression and ended up in hospital for 3 days. That’s when I decided enough was enough, I wanted to feel healthy again. I weighed 101kgs when I first went to see Lynda and in my before photo. As of today I am 85 kgs and feel mentally and physically so much better. I continue to see Lynda and would like to thank her for all the support and help, she has been amazing. Thank you Lynda. Without your help I would not have gotten where I am today. I started seeing Lynda on the recommendation of my doctor – I thought I ate healthily and exercised regularly but just kept on gaining weight and, having tried every fad diet known to man, knew I needed some advice and help to put me on track. Lynda took care to find out a bit about me, my lifestyle and preferences and then crafted an eating plan that I could work with for the long term as opposed to a fad diet. The regular check-ins and weigh-ins were motivating and encouraging and I watched the weight, body fat and centimetres consistently reducing. I have now reached my goal, lost 19kgs and dropped 2 dress sizes. Most encouragingly I have adopted the eating plan as a way of life and have the confidence that this time I’ll manage to keep the weight off. I cannot recommend Lynda and Nutrition for Life highly enough! After having tried every diet under the sun (more than once), and losing weight and putting in all back on again, I searched the internet for a nutritionist close to work and home. A friend gave me the idea as she was seeing a nutritionist, but she lived on the other side of Auckland and I didn’t want to travel that far. I found Lynda through Google, liked what I saw on her website, and fired her off an SOS email to ask if she could see me. Best thing I ever did! 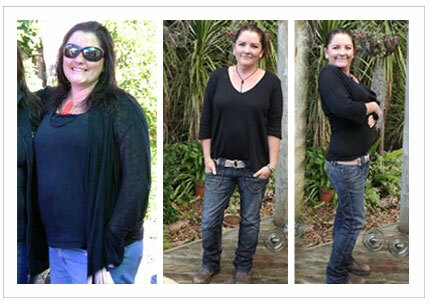 When I first arrived on Lynda’s doorstep I was almost back to my heaviest – weighing in at 115kgs. 9 months later I have lost 20kgs, with another 15-20 kgs to go. I haven’t set my final goal weight yet. Lynda listened to me, set me a food plan based on the healthy foods I liked eating, taught me how to plan what I eat for the week and to write down everything that went in my mouth. I see her every fortnight, one on one – which suits me much better than the group sessions at some other weight loss groups. While I still have a way to go to reach a healthy goal weight, my energy levels have improved, I am sleeping better, my husband says I don’t snore anymore and I can now fit into clothes that have been in my wardrobe for years (and purchased new ones!). Women’s Refuge have benefited from my super-size clothes – I don’t ever want to be that weight again! While it hasn’t been an easy road (there have been a few blips along the way) Lynda has been there encouraging, giving me advice and keeping me on track. Lynda, you are saviour and I can’t thank you enough! 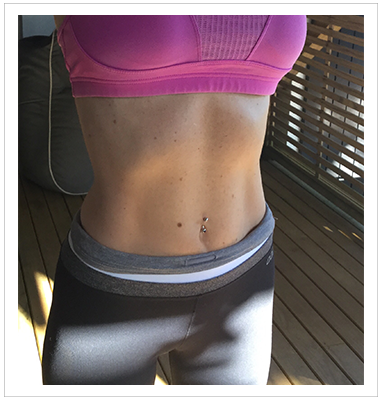 I am a busy mum of three young children and although I felt very fit and like I was eating reasonably healthily, I was overweight. I went and saw Lynda three months ago and she has literally changed my life! I am now extremely clear on what I eat and drink and the impact this has on my weight (and mood!). She is very supportive, practical and really makes food about nutrition and fuel, which leads to lifestyle changes. I can not recommend her more. Thanks Lynda! and that whatever I tried I would just spring back to that original shape. As a younger adult I had always enjoyed swimming, the water has been a great joy to me, so when I found myself at the beach with my girls not wanting to go in with them I realised just how much my body image had suffered. Not only was I ashamed of how I looked in my togs, it meant I couldn’t play with my children. So I made the call. Lynda is a matter of fact, no-nonsense person. She made me feel like there was absolutely no reason I wouldn’t succeed in my weight loss goals. She listened to my food likes and my eating habits and created a food plan that was easy for me to follow. I wasn’t clueless about nutrition when I went to see Lynda, I just needed guidance to structure my eating. Small changes in my eating habits have resulted in vast changes in my health. My visceral fat levels have come down, I’m less tired generally, and as a result of my weight loss and healthier lifestyle I have now even got a job as a preschool swim instructor. (I’m back in the water, and sharing my love for it with others). I have gained so much from having made that first appointment with Lynda. I thought you might like an update. Well it’s my birthday today & according to my scales I have lost 21kg. Being my birthday, I thought I would take the day off healthy eating & just eat whatever I wanted. Now I feel sick! It’s interesting that I used to eat like that all the time. My poor body! I’m actually looking forward to waking up and starting fresh again tomorrow. I’m still having no trouble following my plan & finding ways to mix it up a bit. I have definitely slowed down a lot on my weight loss. There was a period of about 4 weeks when the scales didn’t move at all but, they are slowly creeping down again now. I am in a size 11-12 in jeans which I haven’t been in about 5 years. Maybe longer. I have some stubborn weight around my middle that I am still hoping to shift. I am more relaxed now with my eating which is probably why I have slowed down so much. I used to be very strict but, now if I do some baking or something, I might eat a small amount. Ian - 104.5 kilos to 84.9 kilos!! At 6’ 2”, almost 40 years old and weighing 104.5 kilos Ian was too heavy. He trained hard and heavy at the gym 4 times a week and was very strong, but you couldn’t see his muscle definition because of the layer of fat covering his muscles. We worked out a nutrition plan together and over the next 3 ½ months Ian dropped got down to 91.3 kilos and felt great. That was about two years ago. Over those two years Ian went up to around 94 kilos and maintained there until the end of January this year when he came to see me again. He was working out with a new training partner and wanted to get ‘big’. I measured his body composition and told him that with almost 21 kilos of body fat he would really be better to drop fat first, then go on a mass gain programme. To gain serious mass, you have to eat a serious amount of calories and it is likely that you will gain some fat as well, so it is better to start off lean. Ian agreed and we wrote a fat loss plan. Within six weeks Ian had lost 6.5 kilos of fat and dropped down to 85.5 kilos and looked and felt great. We added more food into his plan so that he would be able to maintain his weight on over 3000 calories per day. After another 2 weeks Ian had dropped a further 600g of fat, so we added a second afternoon tea snack, as well as the one big cheat meal off he has per week already, so that he can maintain his current weight until he is ready to start the mass gain phase of his training. After losing 7.1 kilos of fat and 7cm off his waist Ian looks great, feels great and is running around the gym full of energy. His before and after photos say it all. Human beings are meant to be lean and active and Ian is a perfect example of this. The easiest roads to travel are when you are guided by those who have strode along them before you. That’s why you know you can trust Lynda to ask the right questions, get you on the right track and set achievable goals right from Day One. She’s been there, knows the challenges (and temptations), and has gotten the results. Here’s the results: How old am I? Or, rather how old do I look? If you guessed less than 40, while you are not alone, you are also wrong. I turned 41 last December and have more energy and get up and go now than I had in my 30’s. This journey started at Easter 2013 at 85kg. My husband had been working on his own goals with Lynda since mid-January, and what he was achieving was inspiring. Having stayed at around 83kg since conceiving my first child 9 years ago, I decided that the time and my headspace was right to head back towards my wedding weight – 75kg – but that was 15 years ago, and my body is certainly not in the same shape after having two kids! Can Lynda perform a miracle? Lynda does not perform miracles – miracles are based purely on faith. She is realistic. She has helped me to change what, when and how I eat. The first three days on the food plan (which is NOT a diet) were the hardest – all refined sugar and simple carbohydrates removed – as my body was craving the instant energy that it was used to getting. Once over that though, sticking to the plan worked a treat. The only downside was that my mind didn’t register what was happening to my body. It was only when other people started commenting that I realised how big a change was in progress. Even now, I am shocked at how far I have actually come – I cannot remember when I was 69kg previously, and looking svelte in size 12 or 10 would have been impossible for the size 16 me to visualise five months ago. The best thing about the plan has been my ability to fit what I eat into the normality of family life, and get the whole family eating properly. I feel that I am now giving my children sensible eating habits to continue on with for life, and I have more energy to put into my own life as a result of these changes. So 14 months into the journey of my new life, into a newer healthy happier me, and I am now 40.5kg lighter and feeling great! Even bigger than being able to say I have lost 40.5 kg, I am so proud and pleased to say (out loud) that I am 76.8kg… only 6.8kg off my original goal weight! The changes have been amazing. I am more confident, more active and much happier in myself and with my life. I have gone from a size 22 to a (current) size 14 (with a few wearable size 12s in the wardrobe I might add!!). Whilst I have put in the hard yards, the secret to my success is an amazing lady called Lynda! She has inspired me work hard and continues to challenge me at every weigh in to ensure a better result every time!! She keeps me on track and barks at me when she needs to (!!!) and I’m so grateful I have the opportunity in this blog, to thank her for all her efforts, her support and her friendship. I also need to say a HUGE thank you to my oldest and dearest friend, Anna, who gifted me the initial sessions with Lynda to get me started on my journey. It was the wake up call I needed that has changed my life. She has also furnished me with her hand-me-downs as she too lost weight with Lynda. I have never had such an extensive and stylish wardrobe! Thanks Babe! There are so many people that have supported me along the way – my parents, Ken and Rita, (who started out paying me $10 for every kg, paid out in the form of an Ab Circle Pro and a shopping spree!) and the wonderful and continually inspiring, Patricia (who at 61 has also lost an amazing 30kg). Thank you also to those of you who have followed Lynda’s blogs about me, who have passed on kind words… especially Sue (miss you at the gym girlfriend)… and Dana (who recently took some amazing photos of me and the kids)… and to the family who donated a voucher for me to buy new clothes for the photoshoot… I am so humbled by your support. As a single mother of two adorable children, they inspire me everyday to be healthier and happier. I have more energy for them these days and now, having shed all this weight, I will be around a lot longer… now running around after them! For anyone wanting real results, see Lynda. She’s worth every penny!!! But be warned, she doesn’t suffer fools! You need to work hard and put in the effort but the results are so worth it in the end. Good luck and be healthy!! Dave and Nicky have achieved fabulous results with my online programme and between them have lost over 25 kilos! (Nicky 14.5 kilos and Dave 12 kilos). Even their little dog trimmed down with Dave taking her for regular walks. I always feel very privileged to be given access to before and after photos as I know how powerful it can be for other people to see just what can be achieved through making some lifestyle and diet changes. Nicky and Dave have done just that and reaped huge rewards. Lynne - Over 50 years old with abs! I'm 52 years old and I finally have ab definition! I've always loved exercise and thought that I was eating healthy but never got the results I wanted. However after having my sessions with Lynda I soon discovered why. The Granola purchased from a health store was loaded with carbs, a coffee purchased from a cafe should be treated as a snack in itself, and although quinoa is considered healthy it is also very high in carbs. These are just a few of the many things I have learned. And as Lynda says it's just keeping it simple by eating whole foods. My energy levels are up, I'm sleeping well and I'm feeling great! A huge thank you for helping me to get where I've always wanted to be! After so many years of struggling with too many kilos and after trying almost everything to lose weight I met Lynda, an amazing person that helped me not only to lose 10 kilograms in 3 months, she also helped me to believe in myself. Now that I have finished my regimen and because of the way she taught me about healthy eating I have lost 14 kilograms all together and I couldn’t be happier. Thank you so much, LYNDA!!! My journey started when my doctor told me that I was pre-diabetic. My daughter had been on at me for ages to go see Lynda and she asked me if I would accept vouchers for this purpose for Christmas. I agreed and in late January I had my first appointment. At this point I had pretty low self esteem and felt like a fat blob. Lynda set out for me an eating plan which I personally found easy to keep to. There was plenty to eat. I also embarked on a daily walking routine with my daughter. After a couple of months I was able to walk up the cliffs of Browns Bay without stopping and my fitness improved markedly. I gave up alcohol completely for 3 months (my choice) and kept strictly to the meal plan as I had become determined to lose the excess weight. I lost weight consistently over 6 months and dropped from 82kg to 58 kg which is around where I am happiest. I really believe the key is determination or it certainly was is my case. Several months later I am still around 58kg. Thank you Lynda you helped turn my life around and good luck to all of you who are trying to drop weight. When I decided it was time to drop some of the weight I had gained over the last few years, I found Lynda to be the ideal person to assist me. Lynda provided me with an easy to follow dietary plan based on sound nutritional principles. She was always encouraging and supportive and being accountable to her was a key for me. Thank you Lynda, I am now 14 kg lighter and feel great joy. I have just returned from spending time with family in Australia over New Year. Had a wonderful time and was great to feel fit and healthy and be able to wear whatever I wanted and feel comfortable! Thank you so much for helping me on my journey to lose 10 kilos and get to, and attain my goal weight. When I first came to you at the beginning of the year I was very skeptical when you set me this goal, but after looking in the mirror I knew that I had to challenge myself! Being in my mid 50s I kept being told that I looked fine and the weight gain was due to my age and that I shouldn’t worry about it. I began to question this and thought I’ll give losing it a go and if they are right and I cannot lose the weight I have gained I will get used to it and live with it. You however changed my perception and gave me the opportunity to get to my goal weight with a realistic eating plan taking into account my “non-negotiables”, those daily soy flat whites and that gin and tonic on a Friday night. I was so delighted when the weight began to fall off and I felt more energetic, confident and in control. It is about 4 months since I reached my goal weight and I now have the tools to be able to maintain it thanks to you. I finally made the decision that I was really unhappy with my weight. I found Lynda via a google search and made the leap and appointment.....wow 11 weeks later and I am 12kgs lighter. The first couple of weeks were a challenge, changing the way I eat and think about food. Now it doesn't seem like a diet at all. I am never hungry, have a cheeky wine and really enjoy my almost daily walk. I've tried all sorts of diets in the past including Weight Watchers and Jenny Craig, nothing compares to what Lynda has to offer and on top of it all, she is a great lady, easy to talk to with a real keen interest in nutrition. I have learned so much. I recommend Lynda 100%. Deb went to see Lynda because she wanted to look and feel her very best on her wedding day. Achieving her goal of losing weight meant that she felt like a princess in her beautiful gown and she loved the way she looked – and it shows in these photos. Let Lynda show you how you can lose weight in a healthy manner so that you look and feel your best on your wedding day. I remember in the beginning when we set the goals, I thought what have I set myself up for, how can this be achievable. There was such a gap between where I was weight-wise to where I would like to be. As I started to change my diet and add in a bit of exercise, I realised how much I had let my health slip over the last 10 – 15 years, a complete lack of exercise, bad diet, consisting of too much junk food and takeaways and far too many beers had resulted in a comfortable lifestyle that had seen me end up at the heaviest I had ever been, (112.6 Kg), at the initial visit. Now that I have achieved this weight loss, it is a matter of maintaining the healthy lifestyle and new weight, which I believe I will be able to do. Without Lynda’s assistance I don’t think that I would have been able to achieve these results. Once again, thanks Lynda for all your help and support. I finally I decided to do something about my slow, but steady, weight increase because I wanted to make a career change and I knew that the “real me” was not this size. Lynda was recommended to me by one of her clients and I've not looked back. Lynda took on board that I was a bit of a snack person and designed a program which I have stuck to consistently for over 8 months. My weight loss is 17 kilos. Lynda is supportive, knowledgeable, and non-judgmental. She is solution focused and has a practical and sensible way of looking at things. Lynda takes a sincere interest in who you are and what you want to become. She is a genuine person who sees her clients as individuals and wants to support them in the best way possible to lose weight and maintain the loss. Thank you Lynda!!!!! 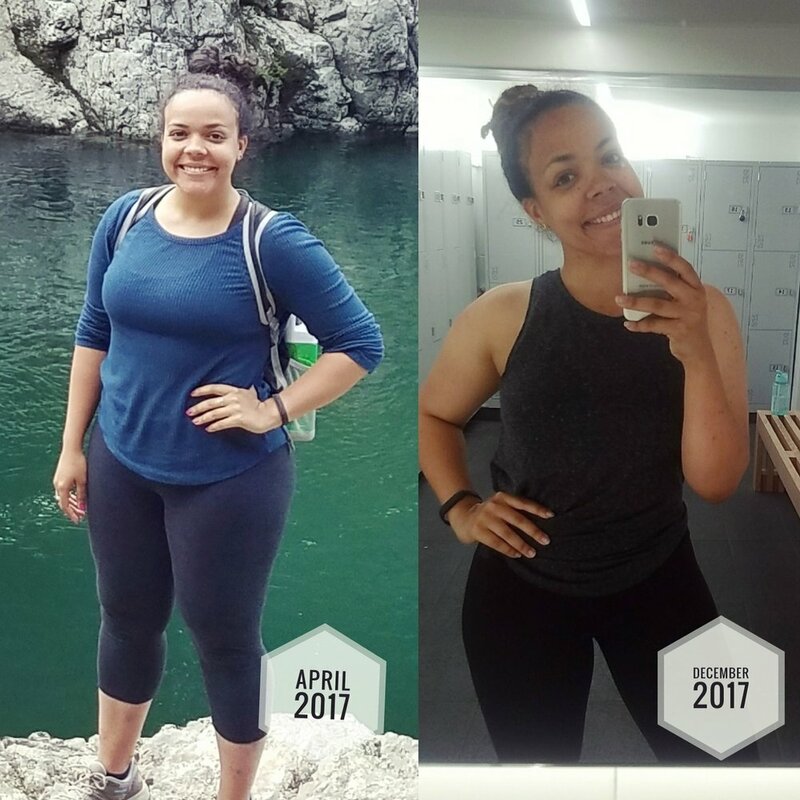 When I moved to New Zealand from California in April 2017, I was the unhealthiest I'd ever been and was ready to commit to making a change, for good. I have loved fitness and group exercise classes for years so I never felt like I struggled with getting to class and working hard in the gym, but I struggled constantly with finding a nutrition plan that worked for me. I'd lose weight, gain weight, not know which foods were causing the loss or gain and just keep going around in circles only to end up back at the same starting point: loving the gym but not knowing what to eat to fuel the kind of performance and aesthetic results I was looking for. After joining a gym here and dabbling in meal prep, I decided to seek out a nutritionist to really understand what my body needs. I found Lynda through lots of awesome reviews and I am so thankful I did! Understanding what kind of meal plan worked for me and particularly what to cut out and what was perfectly okay to keep in my diet gave me the consistency I needed to stay committed. I never felt hungry on my plan and I was eating foods that I enjoyed. I now have a formula for food that I know works for me, measuring my food, ensuring I'm getting the right amount of protein/carbs/fat, and eating at the right times. Following Lynda's plan made it easy and I am finally confident in my food choices. Something I feel like I've gained especially is confidence in knowing that I won't fall back into old patterns. I've formed new habits and now know what kind of food will have certain effects on me and my goals. Even when I've not made a perfect food choice, I am aware of it and adjust accordingly before it gets out of hand, that is the true change. Knowledge is power when it comes to nutrition! I've lost 10kgs so far and am still on my journey. I'm moving home to California and taking my newfound, long-term relationship with food with me! I'm currently training to become a group fitness instructor, a dream I've had for years but was never fuelling my workouts correctly to get strong enough to feel like I was ready. Thank you for everything Lynda, you have changed my life and my relationship with food for the long term! I would like to highly recommend Lynda and her approach to healthy & balanced eating. When I went to Lynda I was just your typical Mum in her mid 40s. I was carrying about an extra 5-6 kg and, like a lot of women in their mid 40s, I was wondering if I was going to have to accept this extra weight as my new reality. I am an active Mum who exercises a lot, so it was frustrating to feel like I couldn’t be the weight I wanted to be. Lynda was amazing. I have never felt on a diet. Instead, Lynda taught me how to eat right for my age and body type. Together, we came up with a plan which still let me eat the foods I enjoy. I could even have chocolate and wine weekly! This was a way of eating that I knew I could sustain beyond the weight loss. I managed to lose a total of 8kg following Lynda’s guidance. This weight loss far exceeded my expectations and left me feeling amazing. I am very grateful that I went and saw Lynda for nutritional advice. My son and I went to see Lynda with the aim of changing our eating habits, to eat more healthily & with an added bonus of losing weight. I used a lot of packet / jars when cooking, I didn't eat lunch, didn't drink water or exercise and had a few glasses of wine at night. With Lynda's suggested eating plan she told me I could lose 600-750 grams per week (which I didn't really believe). With the new food plan, which includes treats, and great ideas for school lunches, we are enjoying the food we eat and don't feel like we are on a diet or go without. We're exercising regularly, drinking water & I still have a few glasses of wine each week. I have always been fit and healthy, but as I approached 40 I found extra kilos creeping on that I couldn’t get rid of. I had unsightly tummy rolls so always had to wear baggy tops, and I had so much cellulite I would never show my thighs. I believed that because I was getting older it was just something I had to accept. But then I met Lynda who taught me to make a few adjustments to the food I ate, to eat more often and drink more water, and the fat just melted away over 8 weeks. Lynda gave me a lifestyle plan, not a diet so it is has been really easy to follow and keep the weight off. Now I am happy wearing a bikini and running around on the beach with the kids. I started seeing Lynda a couple of years ago when I needed to drop some weight after a boxing match (my nutrition was all over the place due to needing to make a certain weight). Everything went really well and I lost weight, then I went overseas. A year later I came home from a holiday in Europe weighing 65kg with around 22% body fat (3kg more than when I had last seen Lynda, so I knew it was time for action!). Between November 2015 and February 2016 I have seen Lynda every few weeks and received some great advice about portion control, measuring my food and how the types of food I had been eating may have impacted on my weight and body fat. In 4 months I have managed to get back down to around 60.5kg with 14.75% body fat. The lifestyle change has been easy for me to follow, just like it was last time. It really has just been some very minor changes. It’s not a diet at all and I don't feel like I'm depriving myself of anything. I had previously really struggled to lose even a couple of kilos, but with Lynda's help and ongoing support it has been easy. I feel accountable for what I eat and enjoy having a catch up with Lynda every 6 weeks or so to see how I’m tracking. Thanks Lynda!! "I want to thank you for everything that you have done and advised me to reach my goals. 12 months ago I wouldn't have been anywhere near in terms to my physical and mental attributes. You've transformed me into a new person. Thanks for everything, Ash"
I found Lynda's website at a time when I really needed some help losing weight. I had tried by myself, but found it hard to keep focus or momentum. I read the testimonials of other clients and it gave me hope that Lynda would be able to help me too. I am so pleased that I took the step of contacting her. Lynda is very supportive and practical minded. The food plan she gave me required me to change the food choices I was making and create better habits. The first few days were the hardest, but it soon became easier. It helped that the food plan she gave me had a number of meal options and Lynda had plenty of ideas for delicious nutritious meals. Together with increased exercise, the weight started falling off. Even having the occasional treat did not seem to make much of a difference, meaning that the approach was flexible enough to allow for social living. Having the structure of regular 'accountability' visits to Lynda also helped, as did keeping track of food consumed via a food diary. This assisted Lynda to keep an eye on what food choices were being made, and offer guidance as needed. I also appreciated Lynda's suggestions for dealing with eating out, and the challenges of Christmas eating. I am delighted to say that in about four and a half months I have lost approximately ten kilos. I recently picked up the ten kilo weight in Lynda's office and could not believe how heavy it was. With an overseas trip coming up, I feel I am leaving with better health and improved confidence. Thank you so much Lynda! Being in my late 40's I was putting it down to menopause and my office bound job as to the reason why I was finding it so hard to lose weight. Previously I could easily drop a few kilos reasonably quickly just by increasing my exercise a little and cutting out a few extra treats from my diet. It was starting to get me down a lot, with my 50th only 12 months away and a time in my life when I wanted to be looking and feeling good about myself. As I had done when approaching my 40th, it was time for me to take action again. I really thought it was going to take a long time for me to lose the extra weight that I had gained over the last few years, in fact I was thinking it could be impossible to get back to the weight I was when I turned 40. With Lynda's help and professional guidance I have shed the weight with eight months to spare before my 50th! I still can't believe it, I was so convinced that menopause and a sit down office job were to blame for my weight gain and the reason why I was struggling to lose it. Not only have I lost the extra weight but I also have a lot more energy, I need less sleep now and a few of the old joint pains have disappeared as well. By choosing the right food types, with the right portion sizes and some regular exercise, I no longer believe that menopause and a sit down office job has to mean difficulty losing weight. Every person I have given Lynda's card to has lost a tonne of weight - after years of unsuccessfully trying to. As a PT, I am able to give clients effective training/workouts, and I always encourage them to eat better, but I don't have Lynda's knowledge and expertise. I don't believe most people make the changes to their diets that are needed to actually SEE the result of their hard work (e.g. didn't lose body fat, so couldn't see their muscles!) Two of my clients both used to tell me that they couldn't lose weight because of their thyroids, but they look fantastic now. It is wonderful to see them shining, after taking on board what Lynda has taught them. Read Aimee's personal story here. Thank you so much for all the support and guidance you have given me over the last year. The amount I have learnt from you has been incredible! And although I have had my moments, it was great knowing I could always come back and have your support to get back on track. I may not have lost my sweet tooth but I know what you have taught me I will remember and keep for life. Thank you! I first visited Lynda 6 months ago. I was really nervous and wasn't sure if this would 'work' for me, as I felt I had tried everything. Well, here I am. I've reached my goal, 4.7 kilo's lighter and feeling amazing! Lynda 'got me' and made me feel comfortable and at ease. She explained everything to me with kindness and boosted my confidence with her positive outlook. This has been one of the best journey's of my life and if I can encourage someone else out there to take a leap of faith and give it ago, my work here is done - A++++ Lynda is AMAZING!!! Dear Lynda, I would like to thank you for all your wonderful support and encouragement through my weight loss journey. When I first came to you I had low self-confidence and really didn’t know where I was going wrong. The food options you provided are real and so easy to work with. It was refreshing to get some clarity on what foods our body really does need and how simple life can become by following a straight forward food plan, but also with a great variety of options. I now also have the confidence to eat out following the same principles as at home. I want to thank you so much for all your help over the past 18 months, and I’m now ready to fly solo and manage by myself in the future. You’ve been amazing, and helped me kick off the weight loss and my accountability, and then earlier this year, hold the mirror up for me when I hit the ‘brick wall’. Hitting the brick wall was so necessary to move forward and I’m grateful you were there to help - even though it was uncomfortable at the time. I’m feeling confident and happy about moving forward, and am continuing to lose weight on my own. Huge thanks once again. Then follow my lead, let’s bring it on! Today is the anniversary of my weight loss journey and I’m looking back at the last year with amazement. Losing weight has given me a whole new outlook on life. I made it onto a hockey team this year, have increased my Crossfit sessions to 3 times a week, started studying towards a diploma in photography, am coping better at work and feel so much more positive about life. I just wanted to thank you so much for all the support and assistance you are giving me with my weight loss. Thus far 17.8 kilos in 14 weeks! I am excited and empowered and so grateful to you for guiding me in the right direction. You are educating me like I’ve never been taught before! I enjoy our chats and appreciate all your top tips for good healthy living and food options. Looking forward to the next weigh in and chat on Thursday! Lynda came with a great recommendation, and after a fabulous, indulgent Christmas I bit the bullet and made an appointment to see her. I felt very relaxed and at ease with Lynda at my initial consultation. Lynda set a realistic fortnightly weight loss goal and worked out a food plan to suit my lifestyle. After just a few short weeks I felt more energetic and less focused on food. Seeing Lynda and dropping 20 kilos changed my life. I was wearing size 18-20 clothes without even realizing it until I saw a staff photo and noticed I was the biggest person there. I could not believe I was that fat! I was stressing, knowing that in one year I would be turning 30 and by then I would be obese. I needed an action plan. I joined a gym and began some very light exercise, as I never was a fan of sweating. I knew I needed some support and when I saw Lynda’s card in the gym I thought why not? I had tried other ways to lose weight, like group support programmes, but did not enjoy them. Losing weight has changed my outlook on life and increased my confidence. I have resigned from my job and am looking at studying nutrition next year. Having Lynda to support me and cheer me on definitely encouraged me and kept me motivated along the way. HAPPY BIRTHDAY! Oh, no, another year older! We can’t stop the ageing process, but we can stop GETTING OLD!! To date I have lost 18kg and I have gained my life back. No longer does fear of failure stop me from enjoying life. I’m not locked away on a ‘diet’ and can head out for dinner and coffee safe in the knowledge that I know how to make good choices and still have fun! I have a few kilos left to lose but take half the blood pressure meds I used to and my Doctor has said I can stop them completely next month. This was my ultimate goal. Taking this journey with Lynda has changed my life in so many ways. I am writing this letter to recommend Lynda Smith as a Nutritionist. My husband and I have always lived quite healthy and active lives, both playing at very high levels in our respective sports before wear and tear and the dreaded thirties and illnesses put a stop to that. We keep fit, watch our diets and stay active and in no way have become couch potatoes. However with our impending wedding and my husband’s injuries, we decided to use the knowledge of a nutritionist to control our illnesses and maintain a healthier lifestyle. We had always read health magazines and sought information about food and nutrition, but prior to meeting Lynda we didn’t realise how much misinformation and contradiction was out there. Our first impression of Lynda was one that has remained constant from day one. Lynda is passionate about her work and helping others, and is realistic about what is achievable and what isn’t. She is a great motivator and was even able to motivate us when we had a “bad week”. Lynda has passed on a great deal of professional knowledge which has consequently given us a positive outlook towards our overall health and lifestyle and we ultimately we feel better within ourselves. I lost 10 Kilos for my wedding day, I have more energy than I thought possible and I sleep better. We are still eating the same way Lynda taught us and are still feeling the benefits a year later. Lynda is constantly researching and passes on any information that relates to our health conditions so that we can continue to control these problems. Colleagues and friends saw the results of Lynda’s magic with us and were constantly asking me for advice about food and nutrition. I would just smile and give them Lynda’s contact details and tell them to contact her. Do you want Lynda to help you with your weight loss goal?